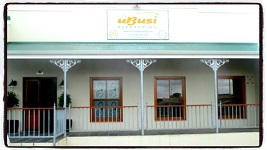 Ubusi Beekeeping (Pty.) Ltd. is a Company that seeks to connect appropriate resources to harness high volume, high quality honey production and pollination services to stimulate growth for bee farming businesses and co-operatives, and for the benefit of all stakeholders in South Africa and other parts of the world. 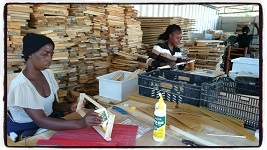 There is a critical need for new skills, employment opportunities and small enterprise development in the poorest rural areas of many African Countries and there is a shortage of good quality honeybee products that comply with organic, environmental and “fair-trade” standards, for the world market. 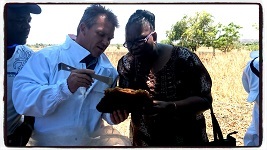 Based on these needs, Jaco Wolfaardt (Managing Director), registered Ubusi Beekeeping (Pty.) 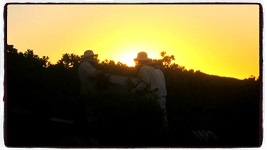 Ltd. as a beekeeping development and commercial bee farming company in 2012. Ubusi Beekeeping (Pty.) Ltd. is a unique primary agricultural and Agri processing company, covering different sectors in the Apiculture and Tourist industry. During the past six years, the reputation of the Company has grown immensely thanks to Mr. Jaco Wolfaardt, who’s vision is to expand the supply of beekeeping equipment and services to other hobbyist beekeepers and beekeeping development projects, in the Western Cape and other regions in South Africa, for sustainable honey production and pollination services, with his main objective to unite South African Beekeepers.for the creation of a world export commodity. 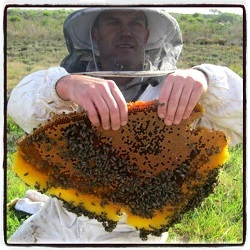 His visits to the International Apimondia Congresses and ApiTrade Africa Expo’s and other meetings in Africa, expose him to great opportunities for the South African Beekeeping in the world honey industry. The African Honey industry is under developed and a great potential exists to generate more beekeepers, which is a unique and minimal capital investment business, suitable for rural agricultural expansion and job creation and food security. There is a very big growing demand for commercial pollination services in South Africa and especially in the Western Cape. Ubusi Beekeeping’s main focus will be to help support this demand and to be part of the beekeepers that contribute more 12-15 billion Rand, to the South Africa deciduous fruit industry, by providing pollinations colonies to this Agriculture sector. Ubusi Beekeeping (Pty.) Ltd. is a unique Primary Agriculture and Agri Processing Business, with specific expertise in commercial beekeeping, mentorship programs and marketing of beekeeping equipment and honey, by servicing other beekeepers and development beekeeping projects through support and supply of beekeeping equipment, such as locally manufacturing wooden beehives and components, protective beekeeping clothing, stainless steel honey processing equipment and all other needed products for the beekeeping industry. We currently cover a wide spectrum in the beekeeping industry, from commercial beekeeping and pollination services, equipment manufacturing and development, imports and exports, value added marketing of bee products, training and mentorship support and development projects support in South Africa and the rest of Africa. Ubusi Beekeeping (Pty.) Ltd. is also a production company that manufactures wooden beehives and honey processing equipment needed to run a successful beekeeping operation. We run a full time woodwork manufactory plant and do have the capacity to manufacture large numbers of beehives for the local market and to export to other African countries. 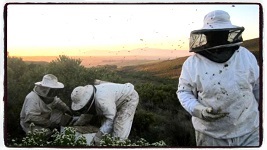 We are also running a project, with the support of the Institute for the Deaf of South Africa, in Worcester, Western Cape, where we supply all the needed equipment and wooden frame parts, to assemble beehive frames for development projects and for other beekeepers. The project is now in its second year and is greatly appreciated by the deaf community. The proceeds from this project, is used by the Institute to care for their residents and to create more skill development opportunities. We are also a big supporter and creator of work opportunities for women, by using women only to work in our frame assembly line. This assembly line works mainly in peak season and when we have large projects to complete. We temporarily employ more than 10 women to assemble beehive frames during this time. Over the years, we have trained many workers in welding and other metal manufacturing skills, who work in our fully operational welding and manufacturing workshop. The workshop manufactures metal stands for the beehives, stainless steel honey processing equipment and other products, which are used in the beekeeping and dairy agriculture industry. The workshop is run by 5 permanent workers. Website Developed by by Evolution Media House.